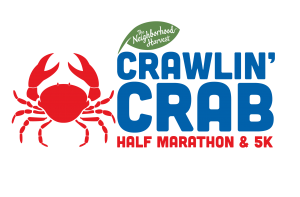 The Crawlin’ Crab Half Marathon Weekend is proud to support the Boys & Girls Clubs of Southeast Virginia and the Boys & Girls Clubs of the Virginia Peninsula. Boys & Girls Clubs of Southeast Virginia and Boys & Girls Clubs of the Virginia Peninsula have provided excellent youth-services here in Hampton Roads for 100 years. BGCSEVA and BGCVP offer a safe, fun, and affordable environment for kids and teens ages 6-18 to attend after school and during the summer months. Trained professional staff and volunteers run a wide variety of education programs and offer opportunities and activities for Club members to experience. Boys & Girls Clubs of Southeast Virginia and Boys & Girls Clubs of the Virginia Peninsula serve over 8,800 youth annually between their 24 Clubs across Hampton Roads. Boys & Girls Clubs’ mission is “to inspire and enable all young people, especially those who need us most, to reach their full potential as productive, caring, and responsible citizens.” To learn more please visit: www.bgcseva.org on the Southside and www.bagclub.com on the Peninsula.